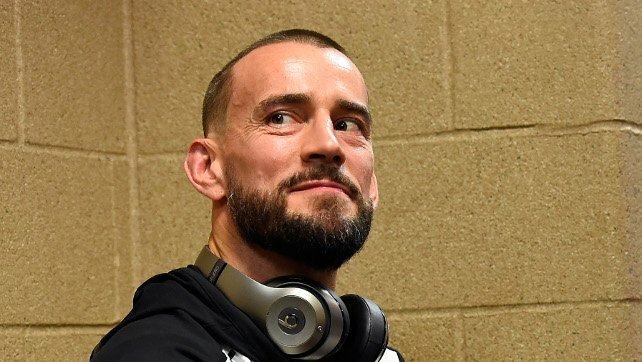 The defamation trial against CM Punk (Phil Brooks) and Colt Cabana (Scott Colton) continued Wednesday at the Cook County Courtroom in Chicago. Nick Hausman of WrestleZone covered the second day’s proceedings, featuring Dr. Christopher Amann’s testimony regarding his treatment of Punk in 2013 and 2014. All of the notes are from Hausman’s extensive reporting on Wednesday’s proceedings that have been broken up on their site between the morning session and the afternoon session. At first, they focused on the Royal Rumble match from January 26th in Phoenix, where Punk worked over 49 minutes of the match after entering the match first. During the match, Punk took a hard clothesline from Kofi Kingston, which he described on the “Art of Wrestling” podcast in 2014, which led to the suit being filed. Dr. Amann consulted with Punk after learning he had been rocked and claimed to have instructed Punk to eliminate himself from the match, which Punk refused. Amann added that producer Michael Hayes later instructed Punk to eliminate himself before Kane was sent out to eliminate him. Punk was said to be agitated towards Amann backstage after the match. They went through a detailed history of interactions between Punk and Amann for a series of ailments, that included issues in Nov. 2013 involving headaches, fatigue, nausea, and vomiting that began on November 5th and was still causing problems for Punk one month later, when he was bedridden for three days at the end of November. They described an elbow injury from Dec. 2013, and a shoulder injury in Jan. 2014. Amann acknowledged prescribing antibiotics, including Z Paks to performers, including Punk, which he later said was for sinusitis. In the afternoon portion, Amann was asked about the emotional damage the podcast caused him, stating that there have been negative tweets directed at him and derogatory chants aimed at him. Amann stated that he hasn’t suffered any damages from the WWE over the interview and that the opinion of the wrestlers has not been altered. When Amann stated he couldn’t denounce the claims Punk made was due to HIPAA, the defense cited a text message exchange between Amann and Chris Jericho where Amann stated that Punk’s health was nothing like had described in the interview. They aired an interview that was conducted in April 2018 with former WWE timekeeper Mark Yeaton to recall the actions by Amann with Punk during the Royal Rumble match in 2014. Yeaton’s memory of the match was very foggy when it came to specifics. Yeaton guessed it was Vince McMahon that made the call for Punk to be eliminated, although earlier it was said that Michael Hayes made the initial call for the elimination. Yeaton added that Amann did bring up Punk being concussed on one occasion and assumed it was during the Rumble match in question.